Very often, for frivolous reasons candidates or others approach the courts and by virtue of interim orders passed by courts, the election is delayed or cancelled and in such a case the basic purpose of having election and getting an elected body to run the administration is frustrated, noted the Court. The Supreme Court in an appeal filed by Shri. Shaji K. Joseph once again reiterated the settled law that once the process of election starts, no court should interfere with the election process. 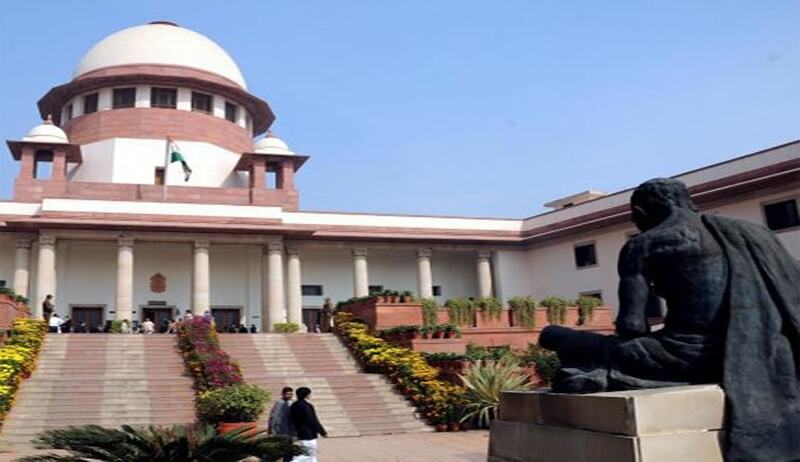 Single Bench Justice Anil R. Dave was hearing the appeal with regard to election of a member to the Dental Council of India. The case of the appellant is that, his adversary Shri.V. Vishwanath wanted to contest the election, but as his name was not in the electoral roll of the register of dentists for the State and his nomination form had not been accepted by the Returning Officer. In these circumstances, Shri.Vishwanath preferred a Writ Petition before the High Court of Kerala in 2011 challenging the validity of rejection of his nomination paper. The High Court allowed the Writ Petition by setting aside the order passed by the Returning Officer, rejecting nomination in respect his candidature and directed the Returning Officer to conduct the election afresh after including Vishwanath’s name and to declare the result on the basis of such election to be conducted afresh from the stage after submission of the nominations. The Writ Appeal against the said order of the Single Bench was dismissed by the Division Bench of the High Court. Therefore, the appellant approached the Apex Court by way of Special Leave to Appeal. The appellant Shri.Shaji submitted that after the process of election had started by publication of the election programme on 27th January, 2011, the High Court should not have entertained the petition filed by Shri. Vishwanath, especially when he was not even an elector/voter and that nomination of Shri.Vishwanath was rightly rejected by the Returning Officer as his name was not in the electoral roll. The appellant relied on the earlier verdicts of the Apex Court in N.P. Ponnuswami v. The Returning Officer, Namakkal Constituency, Namakkal, Salem Dist. and others, AIR 1952 SC 64, Nanhoo Mal and others v. Hira Mal and others 1976 (3) SCC 211 and Shri Sant Sadguru Janardan Swami (Moingiri Maharaj) Sahakari Dugdha Utpadak Sanstha and another v. State of Maharashtra and others 2001 (8) SCC 509 which have laid down the law to the effect that once the process of election starts, no court should interfere with the election process. After considering the rival submissions the Apex Court held that the High Court was not right in interfering with the process of election especially when the process of election had started upon publication of the election program on 27th January, 2011 and more particularly when an alternative statutory remedy was available to Shri. Vishwanath by way of referring the dispute to the Central Government as per the provisions of the Dentists Act, 1948 and Dental Council (Election)Regulations, 1952. “Very often, for frivolous reasons candidates or others approach the courts and by virtue of interim orders passed by courts, the election is delayed or cancelled and in such a case the basic purpose of having election and getting an elected body to run the administration is frustrated,” noted the Court.